Following almost twenty years in financial PR, Beverley has finally hung up her black suit and now focusses on copy writing for businesses large and small. So whether you need a drip feed of fresh online content to keep your business flying high in the search engines, newsletters for your clients, ghosted blogs, or whimsical case studies to inspire new customers, please visit the contact page here. 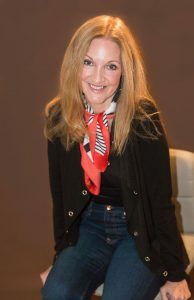 Janet Davies, Managing Director, Symponia and Club Symponia.